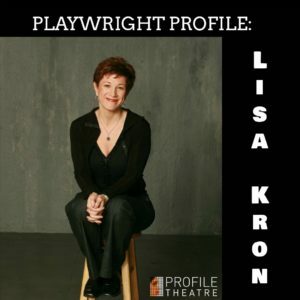 Tony-Award winning playwright Lisa Kron is traveling to Portland for a week-long residency! During her week she will immerse herself in research and writing on a new project. She will also teach a private workshop for our Community Profile participants! The week culminates in a public conversation event! — Ben Brantley, New York Times. Join us for a vibrant conversation facilitated by Artistic Director, Josh Hecht. You’ll get to know this playwright, comedian and solo performer as she shares insight into her creative career and performs some of her writing. Catered reception and book signing to follow!